you requested this repeatedly over the past few weeks and we answered your request. 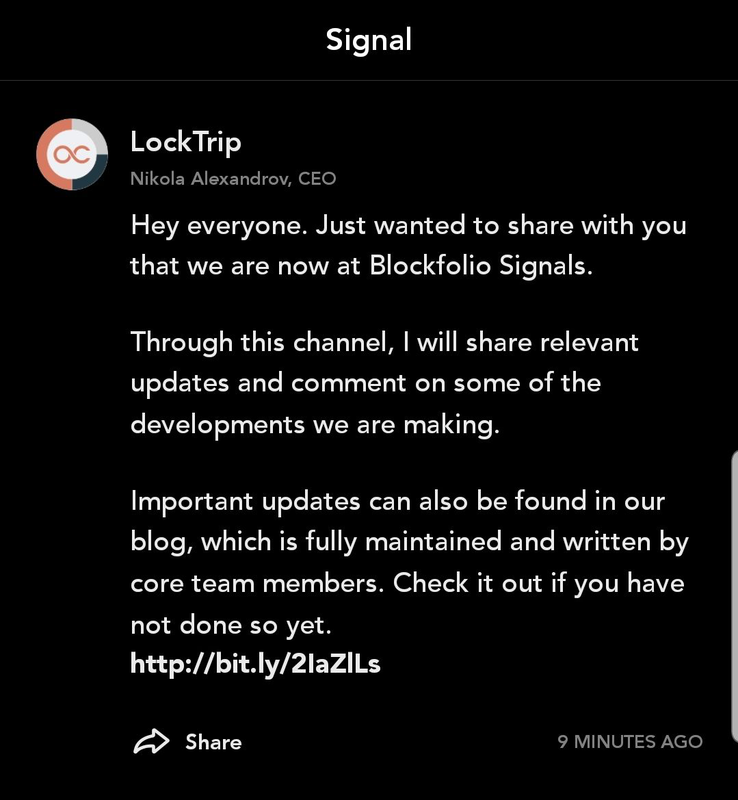 LockTrip is now part of Blockfolio Signals! Nikola Alexandrov (CEO of LockTrip) shared his first Signal today. We aim to reach even more people through this channel and improve the diversity of how people can keep being updated about LockTrip. Do you have friends that are on Blockfolio and might be interested in LockTrip? Tell them about us! A special thanks to Nevena, who is tirelessly following community requests and making them a reality.